If you are a third party debt collection agency in North Carolina and are a member of ACA International, you are also a member of the NC Collectors Association. Join today and start receiving benefits such as free training, online webinars, search point where you can gain access to countless articles, discussion forums on the hub, and in person education seminars which are offered three times a year. Kim opened the doors of Kross, Lieberman and Stone over 26 years ago. She joined the North Carolina Collector's Association in 2002 and has enjoyed the educational input and networking opportunities presented by the association. After 14 years of involvement in the association, she is so grateful to serve as the current president. As president, she hopes to further connect agencies in North Carolina and educate the North Carolina legislature on the benefits of the collection industry to the economy. She encourages other agencies to become involved and volunteer their time and share their knowledge with other agency owners. Lynn was the President of Credit Financial Services for several years before becoming a Senior Account Executive at Professional Recovery Consultants. She has been a member since 2003 and is an avid learner. "I have attended many of the schools that ACA provides and have found it so beneficial. I really don’t know what I would have done without ACA and NCCA as a resource for compliance. Very well worth it." 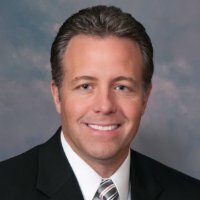 Greg has been the president of Meridian Financial Services for over 19 years.